Take farming, for another example. What can you grow where? Wait no – it’s not that simple. Wrong question. As a developer, I’m not playing the game, I’m making the game. 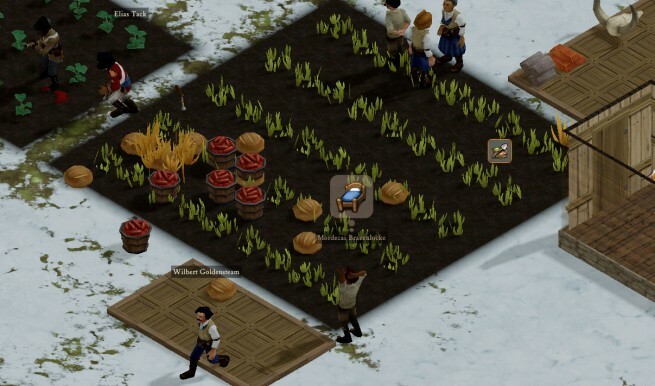 Try again: How do we control the unlocking of the crop field placement buttons and what feedback do we give if they are locked due to some condition? Then we must handle the same question for cooking recipes which are also locked or unlocked per-biome. Turns out the latter is essentially done and required only minor data entry while the former required a slight expansion to how we define field locking/unlocking. I hope you like iceberg lettuce. So, what else do biomes – subbiomes, rather – need? 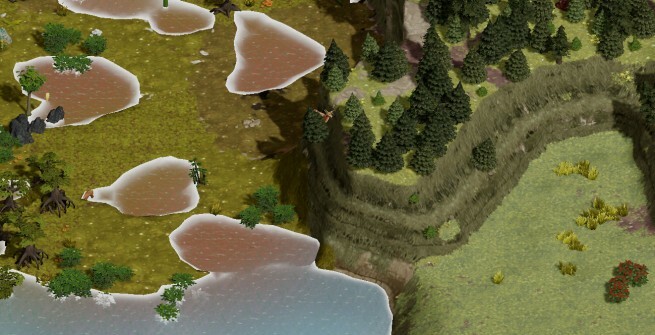 They all need more or less uniquely identifiable ground textures that match their biome set, so a whole lot of those were created using existing textures as a base. 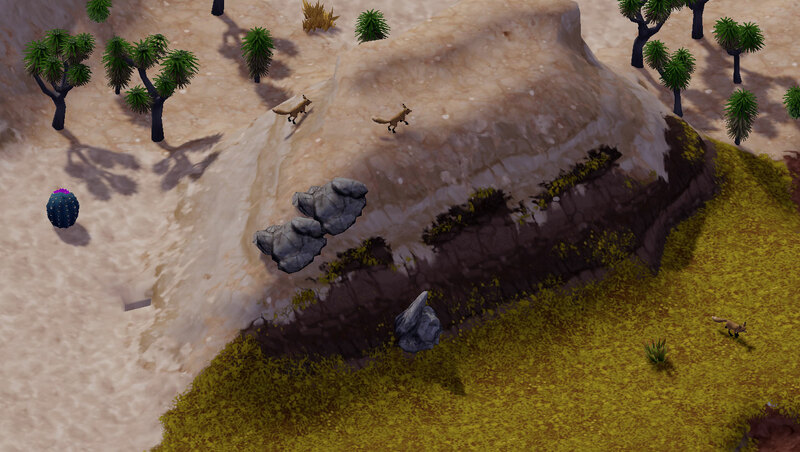 These have to be checked against the nature objects which appear in the biome to ensure they fit together in a way that creates an identifiable theme. Oh, and then said set of nature objects needs to created per-subbiome and also ensured to be unique and identifiable. That last one was my test texture. If you ever see that then you know there’s trouble afoot. … Turns out I shouldn’t talk about the eggs. Ignore all that. Here, have some more biome shots! Where the swamp meets the alpine trees, a deer hides. Foxes frolic where the savanna meets the desert. Explore these places and more in the next experimental, Alpha 49B. I have a feeling that it’ll be out very soon. Do animals have any sort of preference for the biome which spawns them? Or will the Artic Dodo wander anywhere? Arctic Dod wants to set the speed record for going extinct. Yeah, animal spawns are set to certain biomes/climates. Nope, sorry! Each map gets a climate zone which is set by the most plentiful biomes that makes up the map. So if it’s mostly desert, you get desert; if mostly tropical, you get tropical. The latest experimental revision is excellent, it is starting to all come together I feel. I have one suggestion; true hard mode in Dwarf Fortress is actually related to the Savagery of the biome as much as the area, are there any plans to add a biome that is a little more….Eldritch in nature? I won’t confirm or deny anything except that more eldritch content is forthcoming.